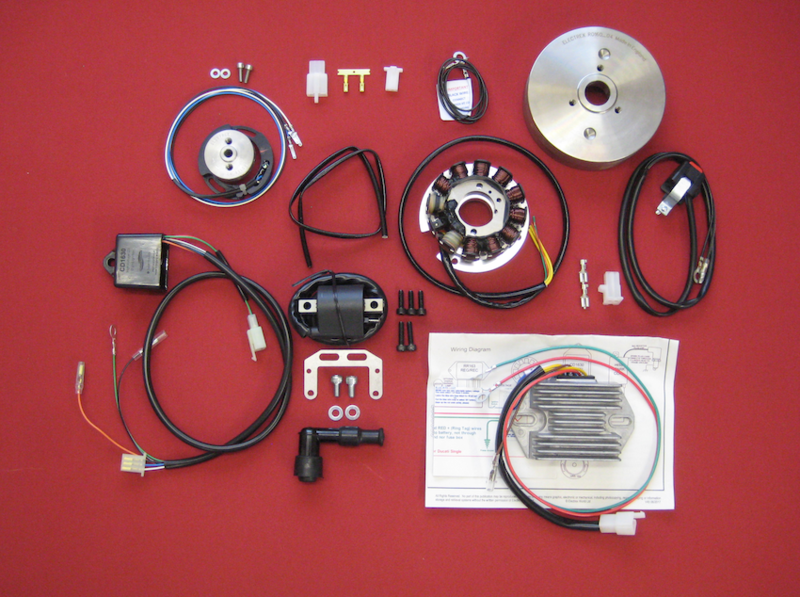 Complete replacement 120w generator system, including self generating digital CDI ignition with advance curve for single cylinder Ducati 250, 350, 450cc. - Alternator power output greatly improved upon the original 40w (and later 60w) generators. - No modification required - direct fitting. - Rotor weight: 1.42kg (3.1lbs). - Complete kit includes generator (4 hole type mounting), rotor, digital CDI, compact regulator/rectifier, HT Coil and fitting Kit.